When one reaches the decision that physical precious metals are the way to go to preserve the purchasing power of savings, then a major challenge is faced. The challenge is how do I acquire, store, and sell the physical metals in a secure manner? This is where G.I. Metals comes into the picture. I reached out to G.I. Metals to help me with this major challenge, since they claim to acquire, store, and sell physical metals on behalf of customers. My experience showed that G.I. Metals' staff (both middle- and top-management) are responsive, helpful, and well-educated. In addition, I requested to visit the vault where my purchased metals are stored. My request was welcomed and accommodated in a professional manner, which eased many security concerns I had. It is my hope that many people get the chance to preserve (or potentially grow) their savings by making use of what G.I. Metals has to offer. I can attest to the safety and accessibility of the vault where my metals are stored. I have a good portion of my future wealth stored with GI in their Dubai vault. Really, they've taken all the worry out of owning these metals. I'm familiar with Global Investment's excellent history, so making this commitment was easy for me. 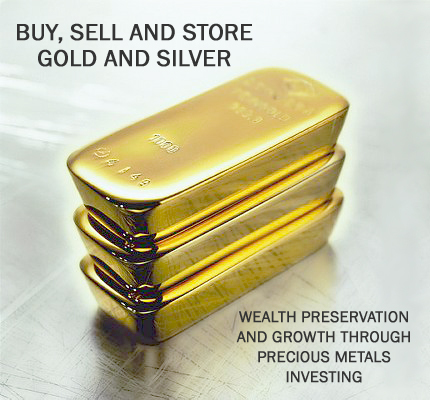 I would be happy to tell anyone looking into purchasing and storing gold and silver with G.I. Metals DMCC that the security provisions offered are second to none. I would definitely recommend this service and the personal touch behind it. I'm a regular customer of G.I. Metals' Brokerage Service. When purchasing my silver, I found their personal care and service to be just amazing. It would be my pleasure to write a testimonial for the outstanding services you have provided me so far. Simply put, you are the best! I would not hesitate to recommend you to anyone, and that is saying a lot. Mrs S. Mughal, Aberdeen, U.K.
Act now to protect your wealth. And your future.